Definition at line 39 of file l2-tracer.hpp. 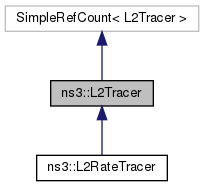 Definition at line 33 of file l2-tracer.cpp. References Connect(), m_node, and m_nodePtr. Definition at line 42 of file l2-tracer.hpp. Definition at line 47 of file l2-tracer.cpp. Definition at line 60 of file l2-tracer.hpp. Definition at line 61 of file l2-tracer.hpp. 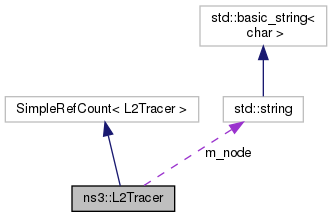 Referenced by Connect(), and L2Tracer().